4-pocket portfolios with hot stamped collectors themed silver foil on black cover. 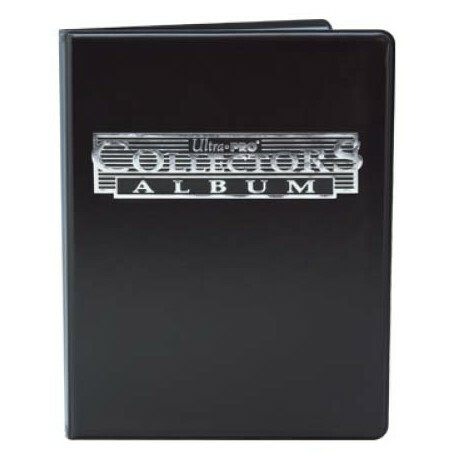 Holds 40 collectible cards single-loaded or 80 double-loaded. Each portfolio contains 10 high clarity, archival-grade and acid-free pages. Clear pockets allow for the back of the cards to be visible when single-loaded.